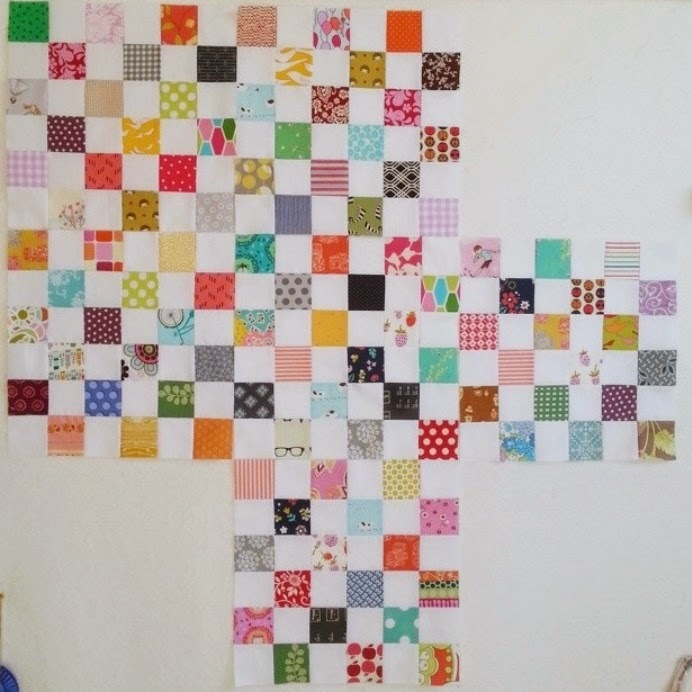 I'm pretty sure I started this quilt over 18 months ago, but it's been so long I can't really remember. Looking back on my one and only post about it I rightly predicted that it would be a slow project with no real timeline for finishing. 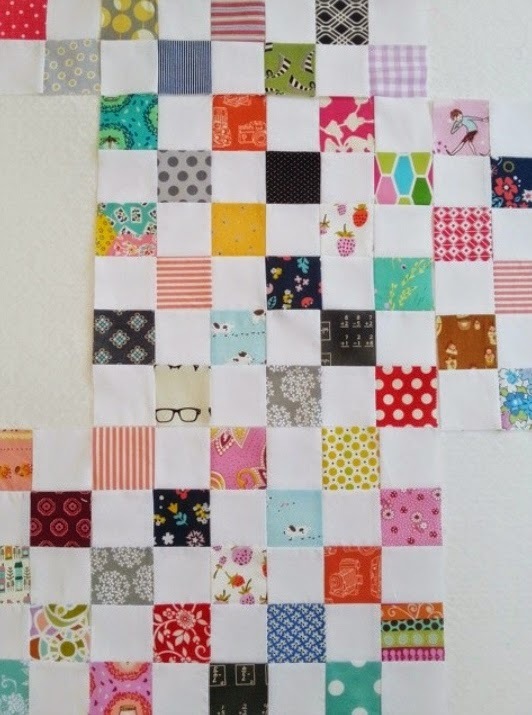 I think I originally made 10 or 12 blocks way back when then promptly put them away to patiently wait in my closet. 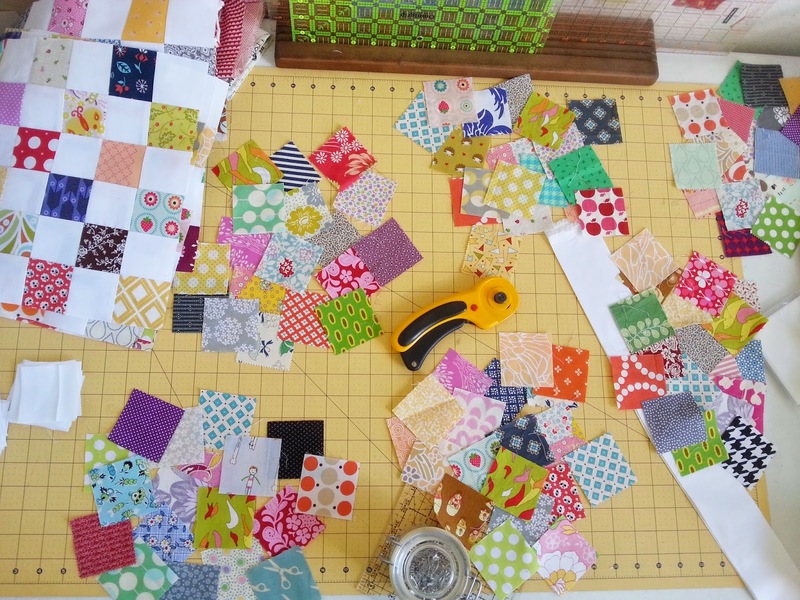 Last fall when I blogged about them I made some more blocks. Sometime in May I got serious and pulled the blocks out of hiding once and for all. Over the course of the next month I worked on blocks here and there and finally finished the top right before the 4th of July. It really was an "eating the elephant" kind of project for me. I'm happy with all the little hidden fabric treasures I was able to include. A close up view reveals some hidden gems and even some uglies. Quite honestly, though, for me the uglies get lost in the sea of pretties. The nerd glasses and the cruiser bike squares might be my favorite little gems. Even though it took me for.ev.er to finish I'm predicting it will soon be one of my all time favorites! 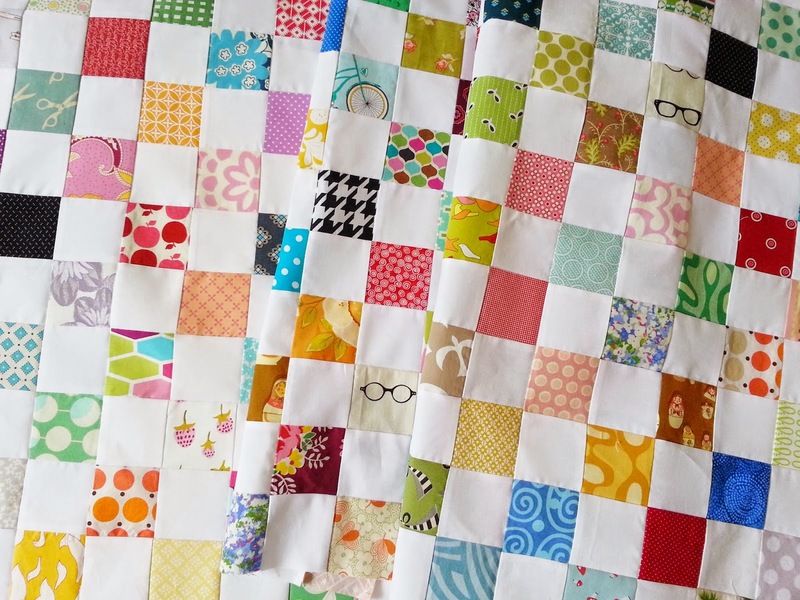 I'm definitely a scrappy quilt kind of girl. 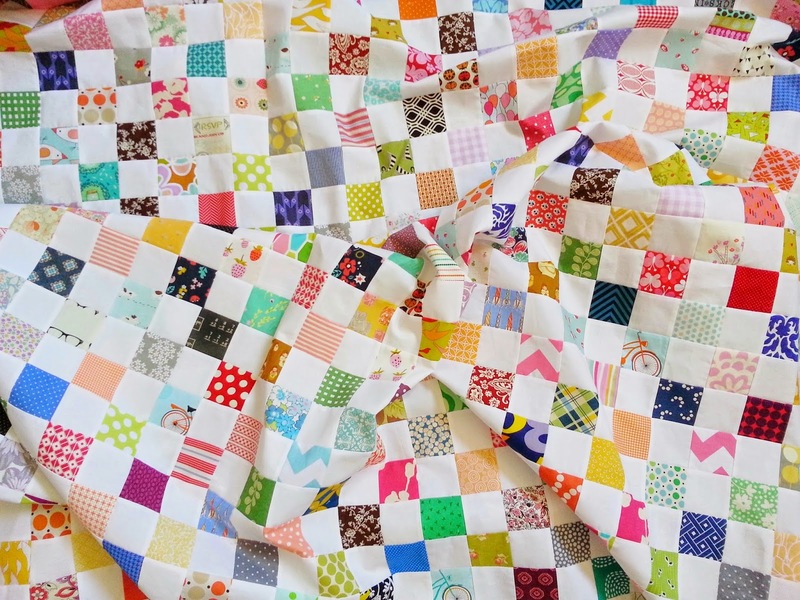 This is project number five from Sunday Morning Quilts Book. You can find the others I've done here.